Knitting Magazines - What are best for beginners? Knitting magazines offer so much for both beginning and experienced knitters. I can learn so much just by looking at one magazine. For example, I learn about different knitting techniques, where to find good and affordable yarn, how to care for yarn and many more tips and tricks from experienced knitters. Another thing I like about these magazines is that they have so many great patterns and you can choose the level that suites you. I can spent less than $6.00 and get about 10 or more patterns rather than pay for $ 5-8 dollars for a single pattern. Vogue Magazine was my first pattern magazine I bought in 1993. I made my first sweater using one of its patterns. I found that Vogue has better designs and more fashionable patterns than many other magazines. It usually famous for lady tops such as sweaters and cardigans I guess it just depends on what you're looking for. I don't even know how many magazines I have today, I still keep them all. I like to go through them once in a while to look for a pattern for my new project. Now a day, there are so many knitting magazines in the market. You can easily find them in most of the major book stores. The other days I stopped by at Barns & Nobles and I just couldn't believed how many variety of craft magazines there are. I was really stuck there for a long time. Here are some of my favorite magazines that I find very helpful. Creative Knitting - Has variety of patterns for everyone - male, female, kids, and infants and other home decors. 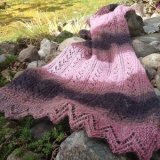 It is fun just to look at the pictures and imaging myself knitting all those different projects. I just found out that now Creative Knitting is available in Kindle version. Knit Simple - There are many easy projects just as its name implied. This would be a good one to pick up if you want simple knit and crochet projects. Knit'n Style - I used to subscribed for this magazine and I would say I enjoy using it. 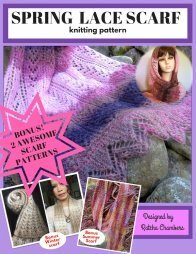 I found the patterns easy to work with and a lot of time it suggest a more affordable yarns. Vogue Knitting - I knitted my first sweater from Vogue and I was so excited. Although it's not really prepared for beginners. All of the patterns are well and high fashion designed. Most of the patterns are for female and mostly are tops. The pictures are beautiful and the patterns comes with instructions and charts. It lists all the yarn used in each pattern with close up yarn image. You can find Vogue Knitting at many bookstores and grocery stores. For me knitting magazines are not just for knitting. I enjoy looking at photos and reading articles as well. So next time when you get a chance to visit a book store, take some time browsing through some of these magazines. Think about what you'd like to knit and what your skill level is. Most of the magazines I mentioned above have patters in basically every skills you need. In fact, there tend to be more available in easy and intermediate levels than the advanced one.